Thank you for dropping by again! Happy Hump Day to you all! As promised from last week, today, we will be continuing on our Chanel segment! Last week I reviewed my Chanel WOC. This week I’ve dug up more information on it to inform you all of the different size comparisons and the price increase. Here are the three Chanels that I currently have in my possession. The red one on the left is a small lambskin Chanel Boy in demure red from 2014. The bottom is the Chanel Trendy CC WOC from the Fall 2016 collection. 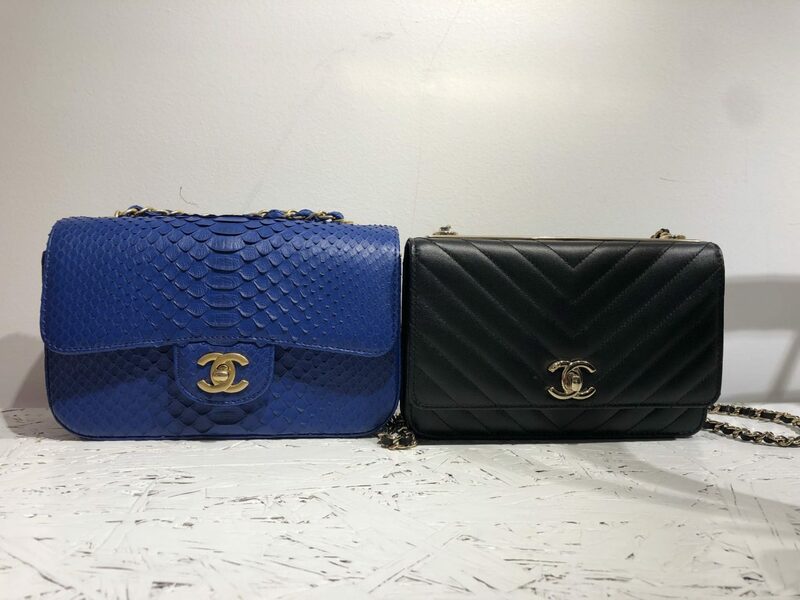 The large one on the right is a vintage classic Chanel double flap in a small size. You can already kind of see the size difference between the three. The WOC is obviously going to be the smallest of the three. And this is how they look from above. You can kind of tell the difference in width from this view. On the side, you can really tell the difference between the three. The 2014 Chanel Boy in small is actually a lot flatter in width than the current offerings of the Chanel Boys. I’ve had people asking me what bag it was because it looks like a boy, but the size is different. Chanel started making their small boys slightly wider on the side these last few years. The current width would be comparable to a Chanel Rectangle Mini. However, I think with smaller bags, especially if you choose to wear cross body at times, it looks better if it lays flat against your body. Hence, my love for my 2014 Chanel Boy over the current Chanel Boy offerings. I also really like the fact that it is non-quilted and just smooth lambskin. To me – less is more. Sometimes, quilted Chanel is too much for my taste. In terms of what I could fit inside each bag. The 2014 Chanel Boy and the Fall 2016 Trendy CC WOC actually fit the same amount of things. It’s an illusion, that the 2014 Chanel Boy would fit more than what the WOC has to offer. 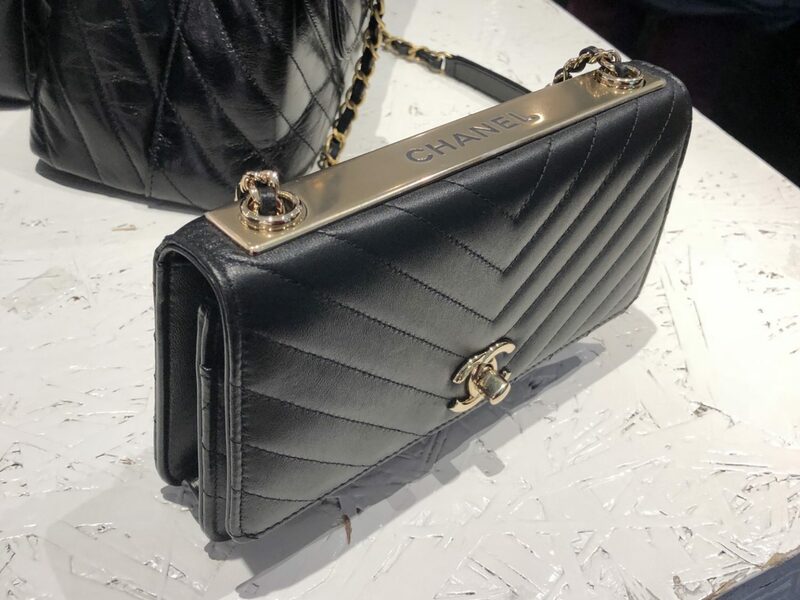 With the Chanel Double Flap in small (which is the current medium size), although it looks bigger, it actually does not fit much more. This is because it’s more structured with more compartments and calls for more leather. The size is just the thickness of what is made of the bag, rather than the actual space you will get. 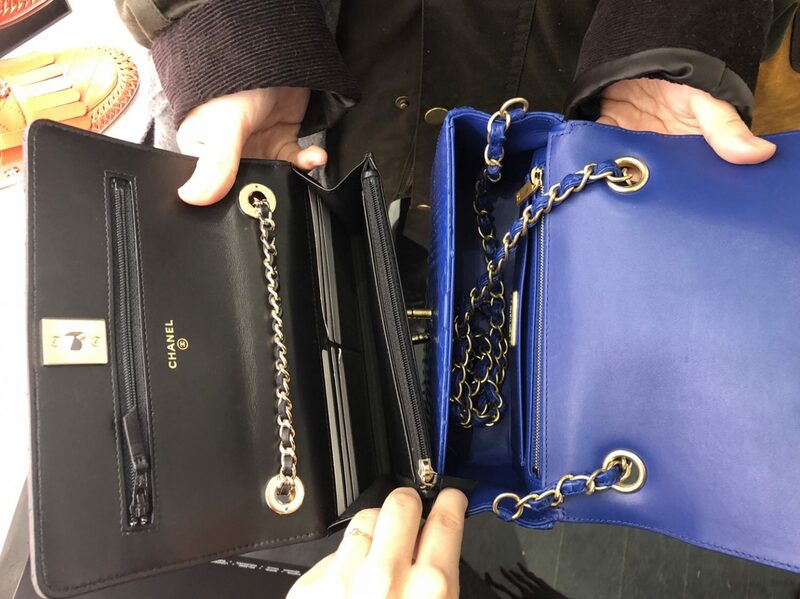 For the size difference, the Chanel Double Flap fits about double the amount of the items you could fit inside the Trendy CC WOC or the 2014 Chanel Boy if you play tetris with it. If you just shove things in, it would fit perhaps half the amount more than what would fit inside the other two bags. 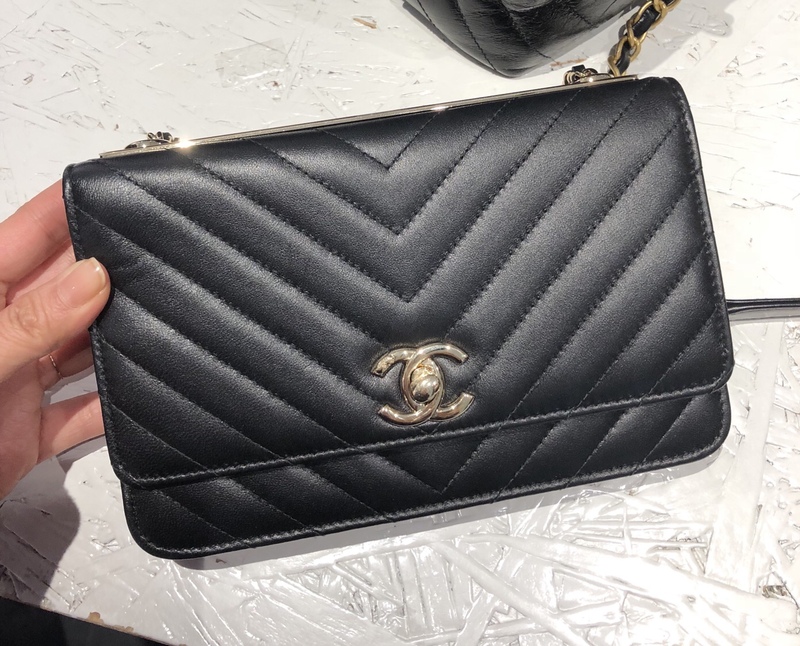 Another size comparison that we could make is between the Chanel Trendy CC WOC and the Chanel Mini Rectangle. This is the two side by side. You can see that the Mini Rectangle is ever so slightly bigger. When comparing the sides of the Mini Rectangle, and the two WOCS (Trendy CC WOC, Boy WOC) You can see that the Mini Rectangle is probably double the width of the WOCS. It looks to be about triple, but that’s cause the bags are unstuffed. When you open it and look at it side by side, you can see that the Mini Rectangle is indeed twice the width of a WOC in the interior. 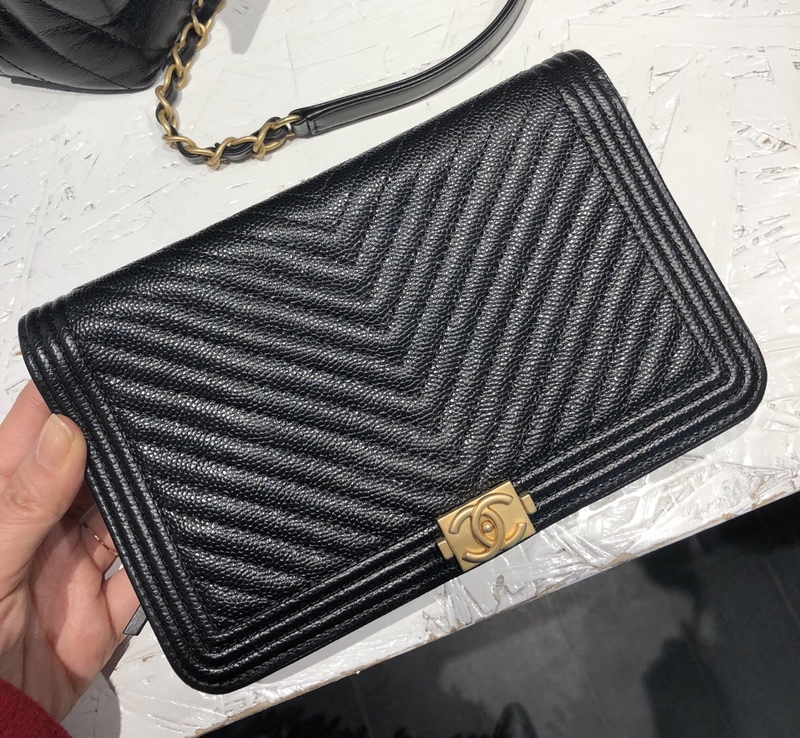 This lambskin Trendy CC WOC is currently available in Chanel boutiques (this one spotted at the Madison Ave store in NYC). The current price for this is $2,700 USD. After NY taxes, it would be about $2,940. I got mine in 2016 for about $2,700 USD after tax. So the price difference within this year is about $240. While shopping, I really wanted to take this home! But I had to agree it looked too similar to my current quilted one. At the same store, I also spotted this gorgeous Chanel Chevron Boy WOC in Caviar. Now this one, I really wanted to take home! I liked how durable this was and I loved the color combo! Not to mention, I’ve been hunting for a full cover WOC like this one! This is definitely one that I would add to my collection. But I’m saving for Paris in May, so until next time, my love! This one is retailing $2,500 USD. After tax, it would be about $2,720 USD. Now, I found out that the Classic Chanel WOCS are also $2,500 USD. There is no price difference between caviar and lambskin. The price raise for classics are always more drastic. Last year, it was $2,100 USD before tax for this baby. However, this year, the price increased to a whopping $2,500 USD before tax! That’s a $400 increase! Now, what you pick will really depend on what you want. If you want a classic – get it sooner rather than later! Because the price will always increase on it quicker! But if you truly want a seasonal piece, go for it! Remember, seasonal pieces are rare and in limited quantities! There’s no right or wrong investment in this. It all comes down to what your heart really wants. Now, Chanel will always be a luxury item and a piece to invest in. It doesn’t come cheap. But, it’s also a worthy investment considering the price goes up every year! If you keep it in decent condition, the resell value is high! You are more than likely to resell it for the price you paid for or more later down the years. So it’s like you were able to have this luxury piece for no price at all. That is, IF you can let it go. 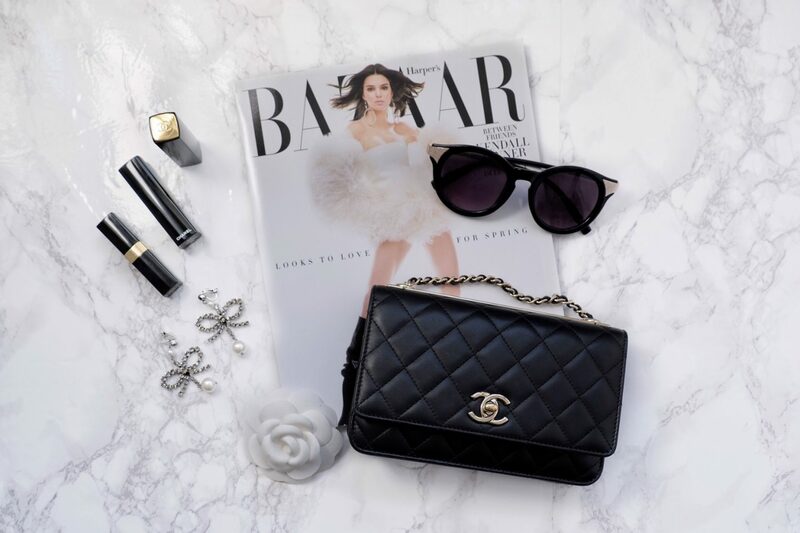 If you want a starter Chanel bag, the WOC is your best bet! It’s quite roomy for what it is and is probably the best bang for your buck. Here are the price comparisons between the pieces as of 2018. Keep in mind that the size and amount of things you can put in these bags are very similar. In my opinion, a Chanel WOC and the Chanel Mini Rectangle is the best choice you can go with if you want a smaller bag. If you fancy the Chanel Boy design, a Chanel Boy WOC will put you at $2,500 USD as opposed to $4,300 USD. 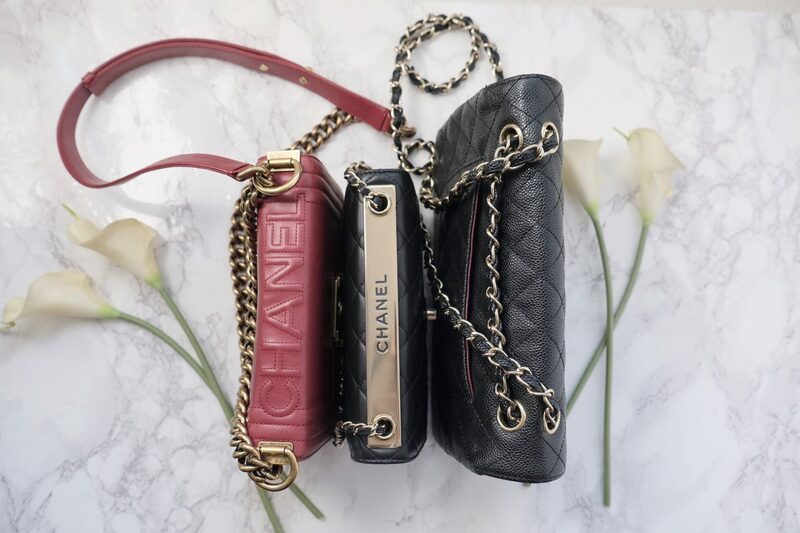 If you fancy the double flap design, or just want a little more space than a WOC – the Chanel Mini Rectangle is a fabulous choice. It’s spacious for what it is and the price point is significantly cheaper! For me, I’m definitely a WOC collector! They’re just so fun to collect, as they come in so many different textures and designs. I plan to have a collection of at least 3 WOCS (maybe 5 lol)! I’m also wanting to collect a mini square or mini rectangle! 5 Reasons Why You Should Buy a Small Bag For Your Next Purchase! I’m in love with all of these, omg. Thanks for sharing your comparisons! The only Chanel I have is the big one I got for Christmas from my mom. I barely use it because it’s so big, but I’ve always found the smaller ones so cute and always on trend! This is an incredibly thorough comparison. 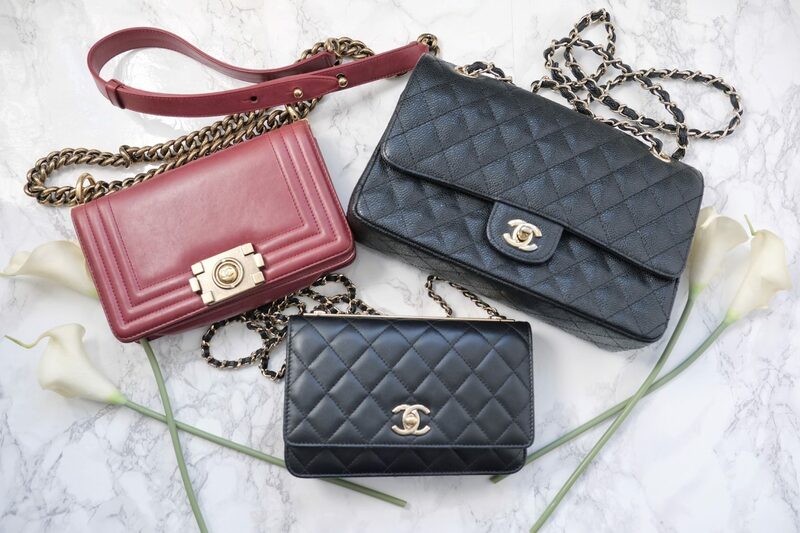 I love the Chanel bags and you can’t go wrong with any of these three! These are all such lovely bags. I personally could never spend that much on a bag–it’s harder when you have kids–all the extra money goes towards them! However, if we ever win the lottery, I’d invest in a Chanel bag! These purses can be a great gift idea for my wife for Valentine’s Day. I think the Channel WOCS is the front runner for now. Those are really nice purses and they would be worth the purchase. I know that they will last a long time, I would hope they would last for the price. Beautiful bags and a very informative post. Love the sleek profile of the boy bag. now this is definitely a timeless piece! i can see this piece being passed on and will always be wanted! i like the blue one the most! These are all definite investment pieces! Which one is your fav? Oh how I wish to have Chanel bags such as those! They look so classy and stylish! 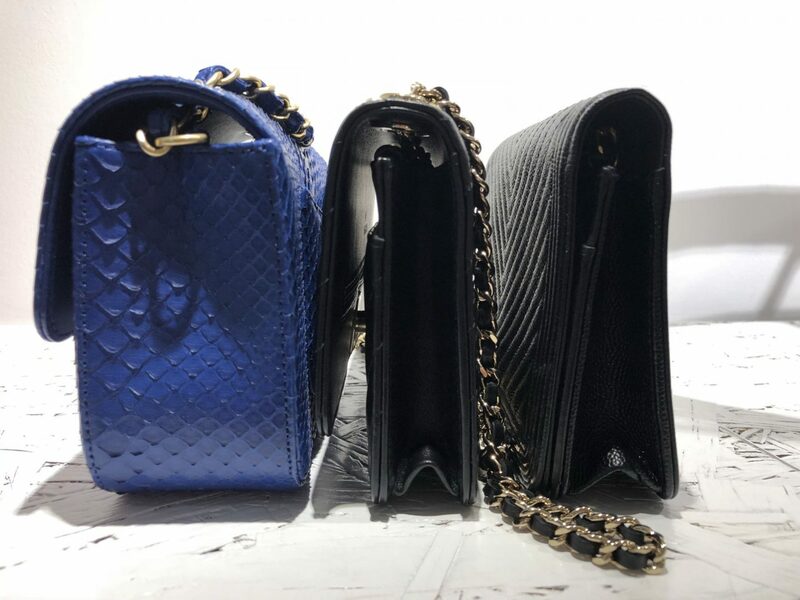 I think this post is really helpful for those who are planning to buy any of the bags. The classics are definitely the first ones to get a higher price tag and we better get our hands on it before another increase! I love the design of the bag, very elegant and classy. However, I didn’t find it suitable for me plus I want to be more practical in spending. 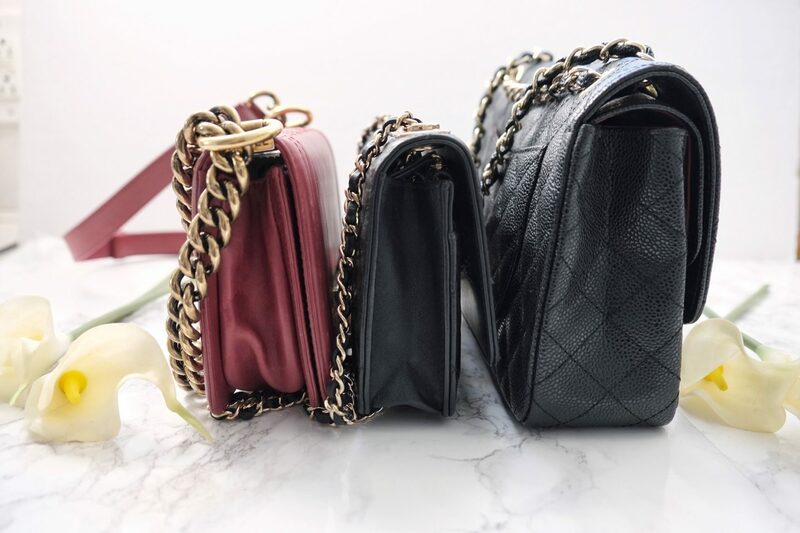 I like the smaller black channel bags – but they do look very similar to your quilted one. And at that price point, you really don’t need nearly identical bags. But I can see the temptation. I love the small Chanel bags. I never thought of it as an investment. I LOVE these bags. They are super classy, only if I had the extra bucks! My husband would not approve of me reading this post. LOL. I love handbags. These are all so cute. I have always loved the look of chanel bags! they are fashion staples and essential to a wardrobe but at the same time so expensive! I know a chanel bag is a great investment but I will wait a bit more before getting one! I love the Chanel Boy Small. It’s perfect for my gf. She’ll love it. Chanel Boy Small its my favorite, because Im always carrying a diaper bag 😂 so, on date night i like using something small!! I love the elegance and chicness of Chanel😀 Thanks for sharing babe! 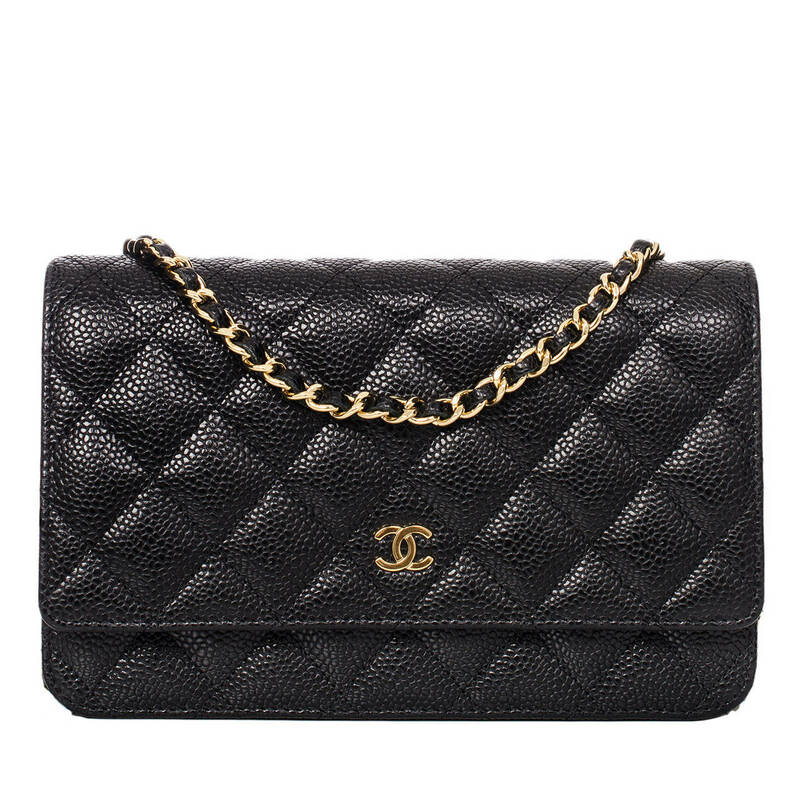 There is nothing like a classic Chanel, and the WOC can be a great entry level piece. I got mine from fashionphile, and it did not break the bank! Great post! These are all really cool. Maybe someday I’ll be able to afford one, lol! Gorgeous collection of timeless bags you got here dear! Thanks for sharing the price comparison! I showed your post to my Amore, and now he knows i like it, he wants to grab it for me. Thank you for your review and recommendation! These bags are all an absolute DREAM! I would love to have them all! I actually really like the Chanel WOC because I like the small size. But my goodness, they’re so expensive. I love Chanel bags and this info is so spot on! I love Chanel bags! My favorites are the little bigger ones, because I have the iphone plus and a big wallet. I love that you decided to compare them because sometimes it’s so hard to tell the smaller differences when shopping online. I will definitely refer to this on my next purchase. Thanks for sharing! Love, Love, Love these bags. I always used to carry around a big bag but now I prefer a small one. These are chic! Until recent I dint have any interest for small bags.But,recently I bought one and found that it is very useful for me.A small bag is always useful for me when I travel.I keep the boarding pass and important things for the airport counters in this small bag. Wow! Great tips. I have yet to buy a Chanel, it is just too pricey for me for one item. Your collection looks amazing! These bags are so practical and beautiful. Love the colors. If I ever had the chance to own a designer bag it would be a Chanel one like these, they are just so timeless and I think would never go out of fashion. I love Chanel bags. I’ve been researching which bag to decide which bag I wanted to purchase, you advice is soooo helpful! Thank you for a great review! Your bags are stunning! They all look so beautiful but the boy is so special, the one you have is so pretty! Hi Ophelia! I love all of your posts and would love your help! My husband just surprised me with the Trendy WOC in Chevron black, however, I am dying to have the quilted Trendy WOC. I called my SA at Saks and he said he couldn’t get one. I then called Chanel customer service line, who was no help at all. How can I find it?! Please help. Thank you for dropping by my blog! Congrats and you have the sweetest hubby! I would say to call up all your department stores and ask. Each season’s offering is also different. So if they don’t have it this season in the color you want, you won’t be able to find one. Your best bet would be shop vintage in that case. PS: I’m dying for a new Chevron one!